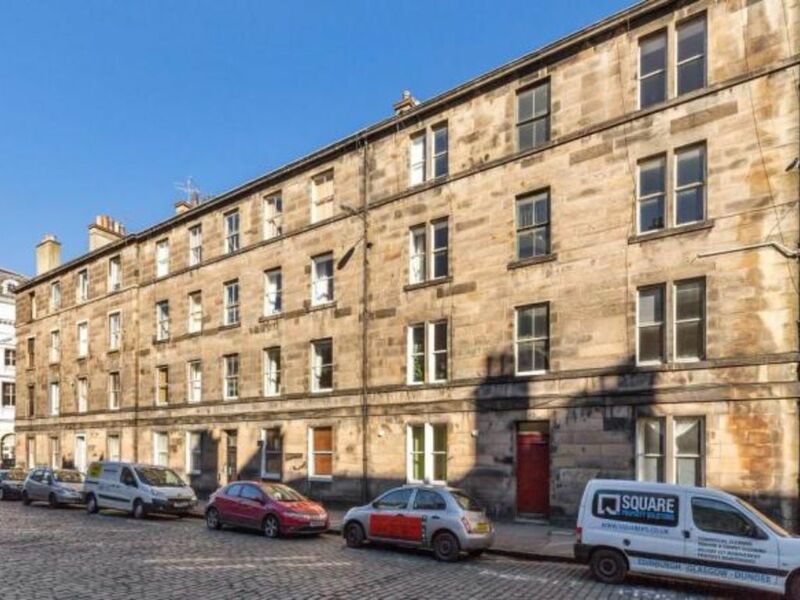 A lovely ground floor 2-bed flat in a historical tenement with Castle views. Welcome to my lovely, quiet, very central ground floor home! Enjoy two double bedrooms with Castle views, a well-equipped kitchen, a clean bathroom with shower and bath and a spacious lounge, all in a fantastic Old Town location. The Castle, Princes Street, Grassmarket & Royal Mile are all within 5-10 minutes walk, and there are multiple theatres, restaurants, stores an even shorter walk away. With great transport links and high speed wifi, my flat is ideal for tourists and business guests. The location of my lovely flat is truly amazing. It has Castle views, and multiple nearby theatres, restaurants, grocery stores, parks and other tourist sights all within very easy walking distance. There are also great public transport links to and from the Airport and train stations and the rest of the city. The two bedrooms comprise one double approx. 3m x 3.6m and one small double approx. 2m x 3m. Both rooms have a wardrobe and drawers to store your belongings. There is well-equipped internal kitchen with fridge, microwave, toaster, electric oven with gas stove and extractor fan, electric kettle and washing machine. There are also supplies to make tea and coffee, as well as an electric blender and other useful supplies. The spacious traditional living room has an original fireplace and corniced ceiling, original wooden floorboards and wooden shutters on the windows. It is a lovely place to watch the world go by and relax after exploring the city. The street is not a through road, so even though it is so close to many amenities, bus links and more, it is actually very quiet. The Castle views from both bedrooms give you a comfortable, warm spot to enjoy a limited view of the Festival and New Year fireworks. Please note it is a limited view - you can't see the entire Castle, due to the beautiful flats in front partially blocking the view from the ground floor level, but it is a very pretty view! You have access to the shared garden outside also. There is a small desk with office chair available in the living room for those on business with high speed Virgin wifi. You will have access to the entire flat and the communal garden. Please note that the wonderful location does have its downsides, and I do not recommend my flat for those with cars, as parking is limited and expensive. Please see parking map in my listing and further details within. I'm normally not around, but I'll make sure that I communicate properly with you. I will also ensure you have my contact phone number as well as that of friends/family based in Edinburgh who can help you in person if needs be. Check-in is self check-in via a secure key safe. If you don't feel comfortable doing self check-in with the key safe, let me know in advance and I can do my best to arrange a personal check-in for an additional £10 fee. This is a traditional Victorian stone row of 4-floor apartments, with a communal stone entrance stairwell. If you are not used to old Scottish tenement buildings, the communal entrance hallway may seem a bit stark, but it is original and over 120 years old! The flat is generally quiet but you may be able to hear tenants from the other flats from time to time, and you may hear main external door being closed when tenants from the other flats are leaving (although they are encouraged to close it quietly!). During the August Festival period and around New Year, you will definitely hear the fireworks from the you are not expecting them then you can be rather surprised as they are loud! Included in the photos is a guide to the local parking - which unfortunately is very limited and expensive for non-residents. I do not recommend bringing a car, but if you do, there are a small number of Pay & Display pays (£3.40p/h Mon - Sat 8.30am - 6.30pm; free outside those hours) on the neighbouring streets. I'm a born and bred Scot who works in the international development sector, and so I often work and live overseas. That's why since 2005 I've been renting out my wee flat. It was my beloved home and I still have a lot of fondness for it - I hope you like it! It is on the ground floor, so no dragging suitcases up several flights of stairs. It's very central, with excellent transport links and within walking distance to most of Edinburgh's sights. It is very quiet for such a central location. It is has rustic Victorian charm! It's close to everything! It's within 15 minute walk of the Castle, Grassmarket, Royal Mile, several theatres and cinemas, several small supermarkets and grocery stores, Princes Street shopping, Museum of Scotland, countless Fringe and Festival venues, several great restaurants, and to bus links and within 20 minutes walk of both main rail stations! Despite all that, it's an amazingly quiet street! This was the perfect location for our stay in Edinburgh. It was walking distance to Edinburgh Castle and Lawnmarket. There was a great restaurant about a half block from the flat, with bus stops and grocery stores nearby. The apartment had everything we needed including a welcome pack and toiletries. The kitchen was well stocked with all the appliances we needed. There were toiletries and even washing machine detergent for us. Ruth was an excellent hostess and helped us find medical help when my husband hurt his elbow. I would highly recommend this apartment to anyone wanting to have a comfortable, convenient place to stay in a great neighborhood of Edinburgh. Lots of personality in this flat. Americans, don't be put off by the word "tenenent" in the description. In the UK it describes a vintage building type. Can't beat the location. Great stay.